Free of charge, no commitment proposals for tailor made solutions for all fire and security equipment and systems. Fixed Price Servicing with all our contracts for a minimum period of TWO years from contract start date. No tie in period or minimum term. Our philosophy is simple – we don’t want to tie in our customers to lengthy contracts if they no longer require our services. 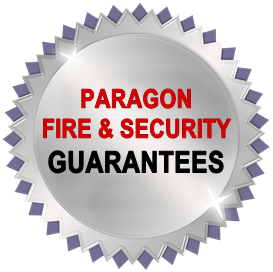 Paragon Fire & Security Systems is an independent Company formed in 2005. Our role is to protect the things you value most. The meaning behind the name Paragon – (model of perfection) is our main focus. Installing and servicing high-quality fire protection and security systems across London and the South East of England, we aim to give all our customers an excellent level of service and provide the best brands at the most reasonable prices. Our three directors have a wealth of knowledge and experience within the fire protection and security industry. As a direct result of their drive and commitment we have a team of highly qualified and reliable engineers, who have in-depth knowledge and are regularly retrained to keep up to date with legislation and recommended practices. 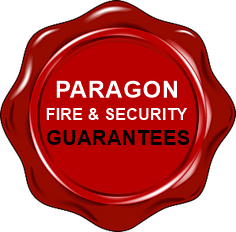 From fire extinguishers to fire alarm systems, intruder alarms to access control systems, Paragon Fire & Security has both the wide array of products and the broad base of expertise to meet your varied needs and to deliver total peace of mind. We’ll ensure that you comply with legislation, recognised quality standards and insurance requirements.